Pedrajas de San Esteban is part of Tierra de Pinares. Tierra de Pinares is a Spanish county in the Castilla y León autonomous community. Its main features are extensive forests, populated by Pinus pinaster and Pinus pinea trees. 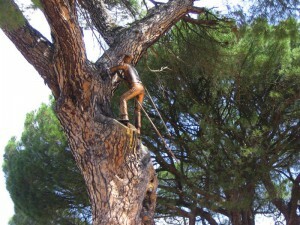 The region’s main products are wood, resin, pine-cones and pine-nuts. The abundance of pine-woods in the area surrounding Pedrajas have meant that the locals have worked with the pine-tree for centuries: logging, wood-working, making doors and windows, extracting the resin and making tar, dropping pine-cones to collect pine-nuts, and making charcoal. 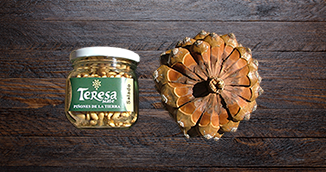 Over the years, Pedrajas has clung especially to its tradition of making the pine-cones drop and producing pine-nuts, making it the pine-nut-producing village par excellence, not only in Castilla, but in the whole of Spain. 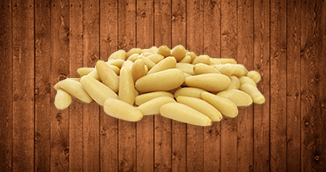 It accounts for between 60% and 70% of nation-wide pine-nut production. See Pedrajas de San Esteban on Wikipedia. 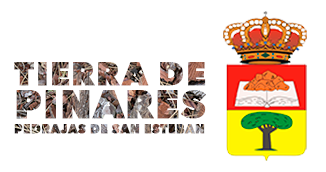 Visit the Pedrajas de San Esteban local council website. 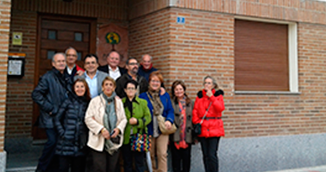 To visit the village, you can come on VP-1104 from Valladolid and Alcazarén; on VP-1104 from Villaverde de Íscar, Coca and Segovia; on CL-602 from Íscar and Cuéllar and on CL-602 from Olmedo, Medina del Campo and Madrid.